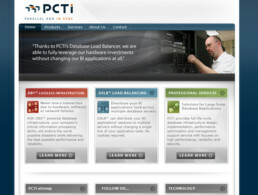 Parallel Computers Technology Inc. (PCTI) develops and markets performance enhancement middleware products to leverage multiple low cost servers. These include synchronous parallel transaction replication, query load balancing, database server fault tolerance and fault tolerant high performance computing products for companies that require mission critical electronic data processing. 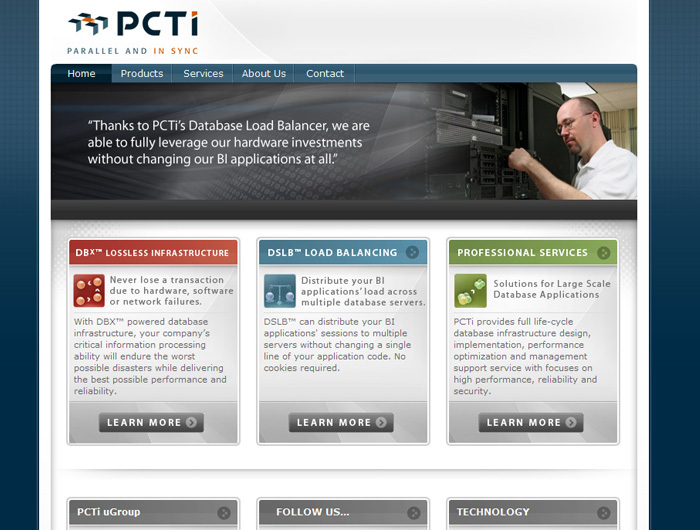 PCTI’s proven, patented technology has given its customers a 90% gain in the performance of their database servers.